HFE is a membrane protein that is similar to MHC class I-type proteins and associates with beta2-microglobulin (beta2M). It is thought that this protein functions to regulate iron absorption by regulating the interaction of the transferrin receptor with transferrin. The iron storage disorder, hereditary haemochromatosis, is a recessive genetic disorder that results from defects in its gene.The protein encoded by this gene is a membrane protein that is similar to MHC class I-type proteins and associates with beta2-microglobulin (beta2M). It is thought that this protein functions to regulate iron absorption by regulating the interaction of the transferrin receptor with transferrin. The iron storage disorder, hereditary haemochromatosis, is a recessive genetic disorder that results from defects in this gene. At least eleven alternatively spliced variants have been described for this gene. Additional variants have been found but their full-length nature has not been determined. Feder J.N., et al. (1998) Proc. Natl. Acad. Sci. U.S.A. 95:1472-1477West, A P, et al. (2000) J. Biol. Chem. (UNITED STATES) 275 (49): 38135–8. Western Blot analysis of HFE expression in transfected 293T cell line by HFE monoclonal antibody (M01), clone 1G12.Lane 1: HFE transfected lysate(40.1 KDa).Lane 2: Non-transfected lysate. 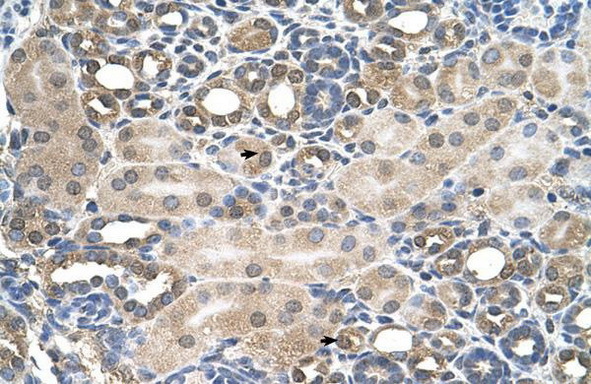 HFE monoclonal antibody (M01), clone 1G12. 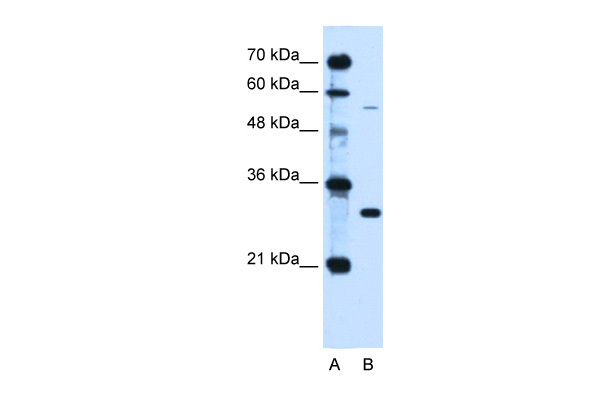 Western Blot analysis of HFE expression in A-431. 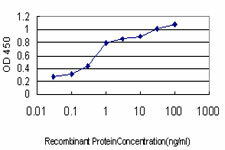 Detection limit for recombinant GST tagged HFE is approximately 0.03ng/ml as a capture antibody. 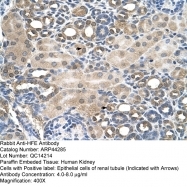 HFE MaxPab polyclonal antibody. 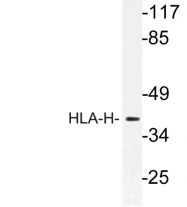 Western Blot analysis of HFE expression in HepG2. 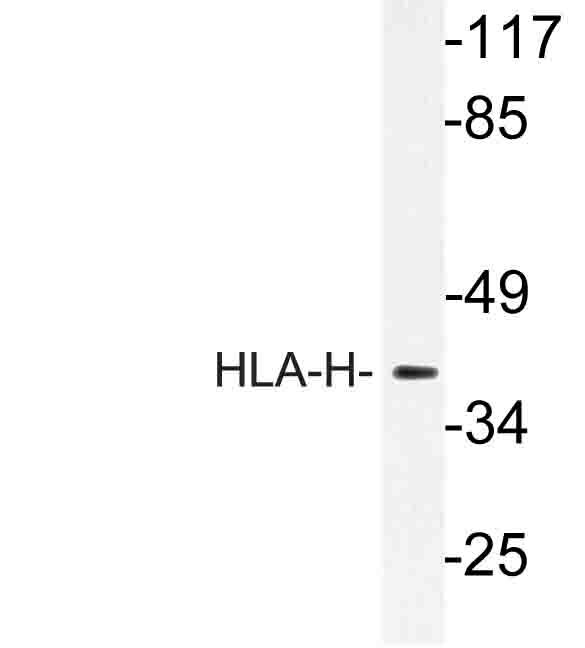 Western Blot analysis of HFE expression in transfected 293T cell line (H00003077-T01) by HFE MaxPab polyclonal antibody.Lane 1: HFE transfected lysate(38.28 KDa).Lane 2: Non-transfected lysate. 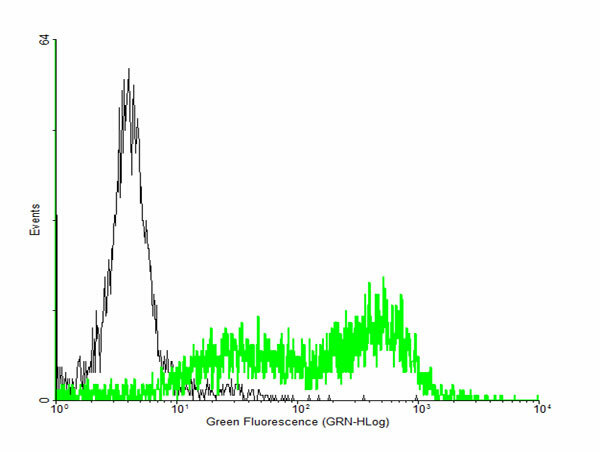 FACS analysis of negative control 293 cells (Black) and HFE expressing 293 cells (Green) using HFE purified MaxPab mouse polyclonal antibody. 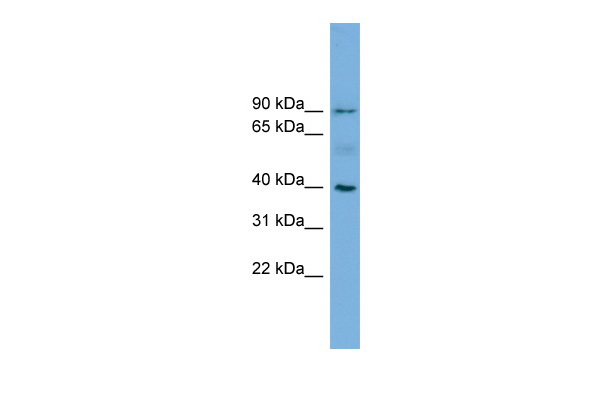 Western Blot analysis of HFE expression in transfected 293T cell line (H00003077-T01) by HFE MaxPab polyclonal antibody.Lane 1: HFE transfected lysate(40.10 KDa).Lane 2: Non-transfected lysate. 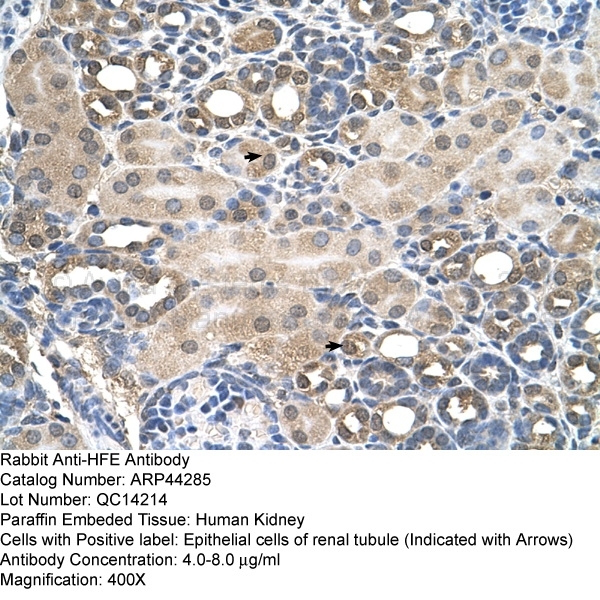 Western blot analysis of HFE antibody (Center) (AP17460PU-N) in Jurkat cell line lysates (35 µg/lane). HFE (arrow) was detected using the purified Pab. 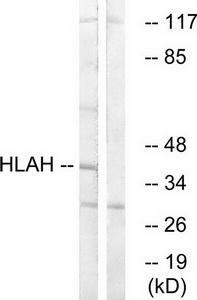 Western blot (WB) analysis of HLA-H antibody (Cat.-No. 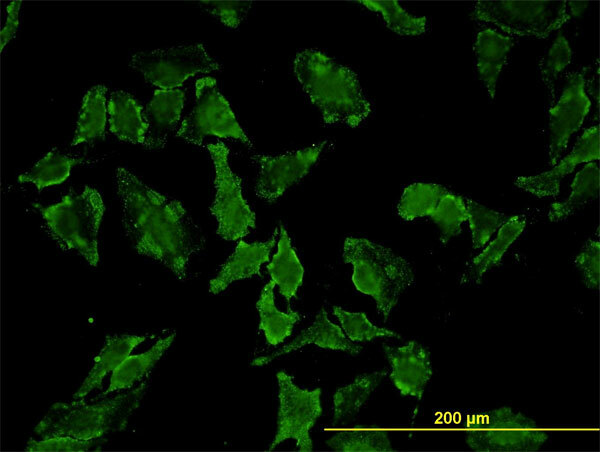 : AP21189PU-N) in extracts from LOVO cells. Western blot analysis of extracts from LOVO cells, using HLAH antibody.The lane on the right is treated with the synthesized peptide. 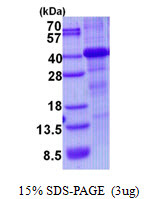 Western blot analysis of extracts of various cell lines, using HFE antibody. 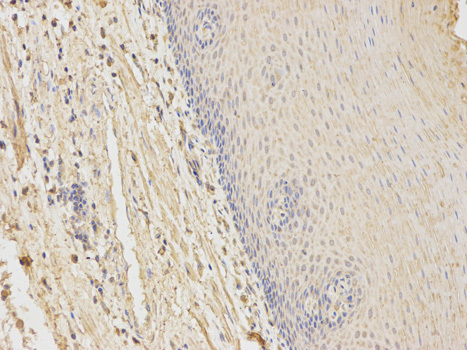 Immunohistochemistry of paraffin-embedded human esophagus using HFE antibody at dilution of 1:100 (200x lens). 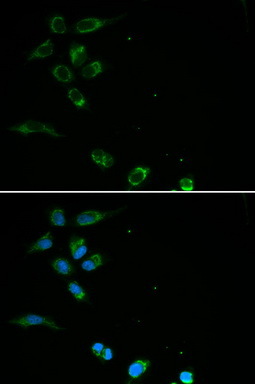 Immunofluorescence analysis of MCF7 cell using HFE antibody. Blue: DAPI for nuclear staining. 27 products - FILTER YOUR RESULTS!